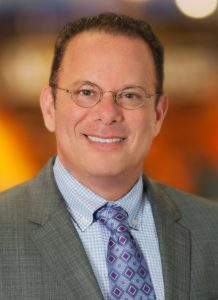 Philadelphia, PA (Law Firm Newswire) January 7, 2019 – Just recently on Court Radio, Dean Weitzman, managing partner of MyPhillyLawyer, discussed the latest ongoing personal injury lawsuits alleging Johnson & Johnson, a large American pharmaceutical company, knew for decades, but hid the fact, that there was a problem for women lurking in their baby powder product – the presence of asbestos. “The truth of the matter,” indicated Weitzman, “is that this is not the first time that as a corporation Johnson & Johnson has hidden information that may not have been good for their retail items.” J & J company records allegedly indicate they knew about a possible connection between talc use and cancer over four decades ago, but insisted it was safe. J & J chose to not inform consumers, not add a warning label to the products and not change their formula to use safer ingredients. Been diagnosed with ovarian cancer after using Johnson’s Baby Powder, and J & J’s other talc products? It is important to know and understand what legal rights accrue to the plaintiff. Every state has different deadlines and statutes of limitations, so do not wait too long to file a claim. “You can contact me at MyPhillyLawyer if you feel you may have contracted ovarian cancer as a result of using J & J Talcum Powder or their other talc products. We are filing these kinds of cases,” added Weitzman. Johnson & Johnson was ordered to pay out $4.69 billion in July 2018 in court ordered awards and there are now over 9,000 lawsuits in federal and state courts alleging Johnson’s talc products cause ovarian cancer. Companies can be held liable for a defective product or marketing defects. The facts in the talcum powder cases are that J & J knew about a “possible” risk and that could be enough to hold them liable for failing to warn end users. Several juries have agreed, resulting in multimillion-dollar verdicts. Over $725 million has been awarded to talcum powder lawsuit plaintiffs to date. Court Radio is a weekly call in legal talk show. Attorney Dean Weitzman answers legal questions, at no charge to the listener, every Sunday morning and also talks about sidebar topics and his own experiences with various cases he has handled.